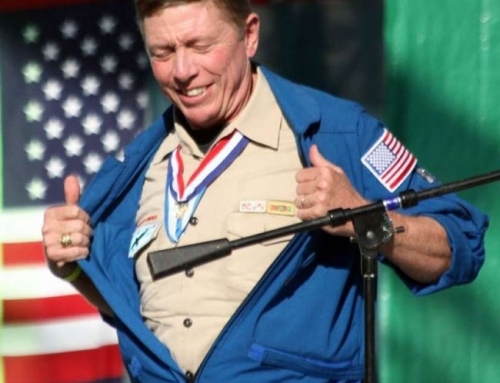 The BSA 50-Miler Award is presented to each qualifying individual by his/her home Scout unit for satisfactory participation in an approved trip. But just what is involved with earning this award? 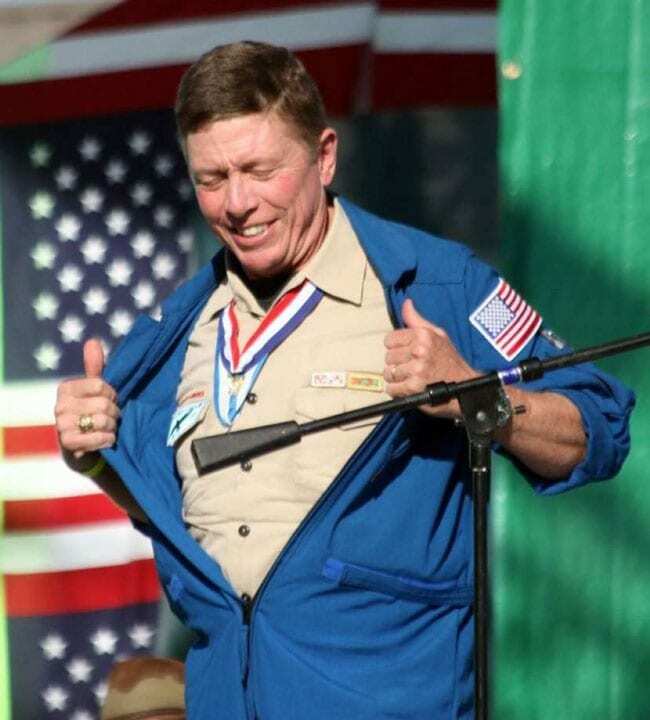 The second BSA requirement is: Cover the canoe route of not less than 50 consecutive miles; take a minimum of five consecutive days to complete the trip without the aid of motors. Hard to do in a raft on the Colorado or Snake Rivers? No. Hard to do in the Boundary Waters? For most 14 year olds, yes! We often hear how a Scout troop covered 10 miles per day on the “Down Stream” River. The current on the “Down Stream” may have been 1 MPH. Had the canoeists never put a paddle in the water, they would have covered that distance in a 10 hour day. 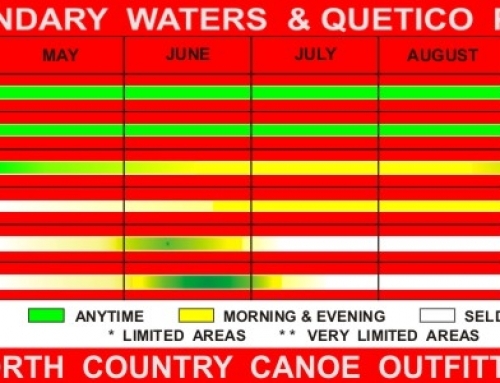 In the Boundary Waters, however, there is no current on our wilderness lakes, and very little on most of the connecting rivers. In addition, we have portages between lakes. Our portages are usually less than a quarter mile. 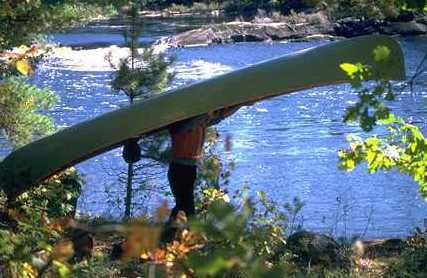 Most groups spend about 15 minutes on every portage getting out, pulling their gear, then replacing the gear in the canoe at the other end, and getting back in. Oh yeah … we also have to add in the time it takes to walk the portage itself. Doing three to six portages on a travel day is about average. 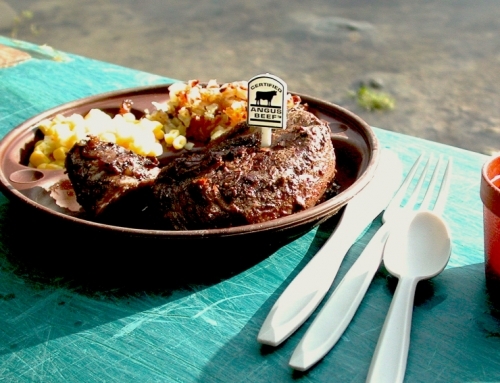 We also have the usual camp chores of taking down camp in the morning, cooking and eating breakfast, having lunch on the canoe trails, setting up camp in the afternoon, and fixing dinner. We figure in about three hours for these activities. 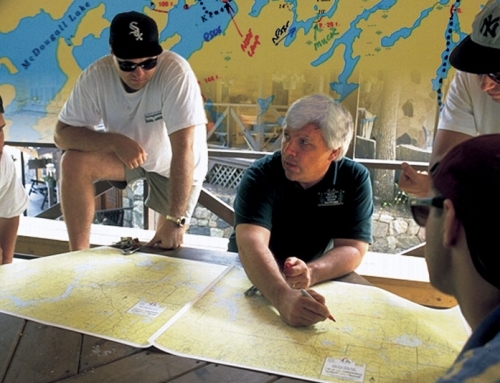 Want to do a little fishing, or swimming, or moose and eagle watching? Add in some more time. Are we saying “Don’t try for the 50-Miler”? Not at all; it is a great goal … if the group members understand what’s involved. Our recommendation is for older youth members that want to aim for it shold try it over at least six days. 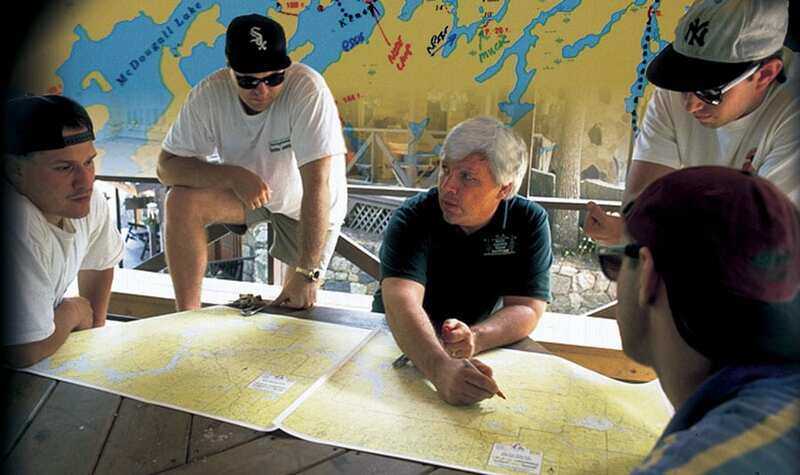 Younger members should know that there won’t be a lot of time for fishing, and plan on taking a seven-day trip. 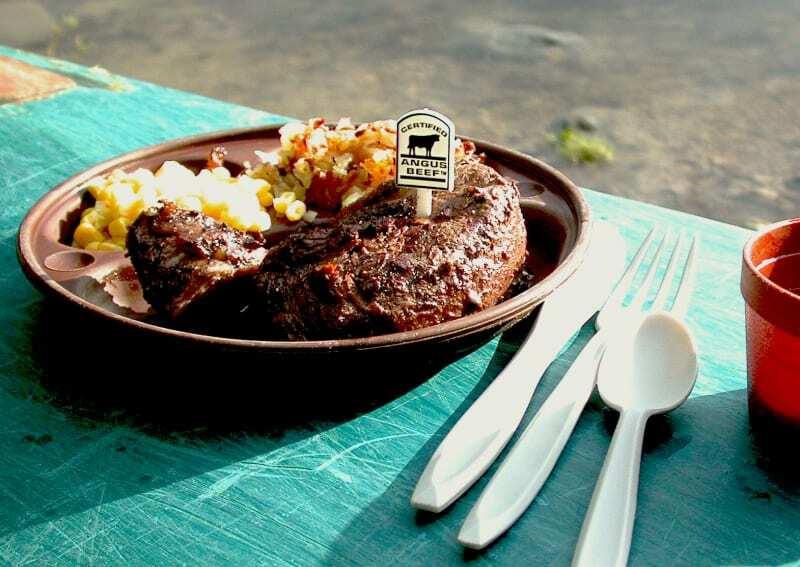 If they want to “do it all,” stretch the trip out like they do at Philmont Scout Ranch …. do it on a full 10-day trek. 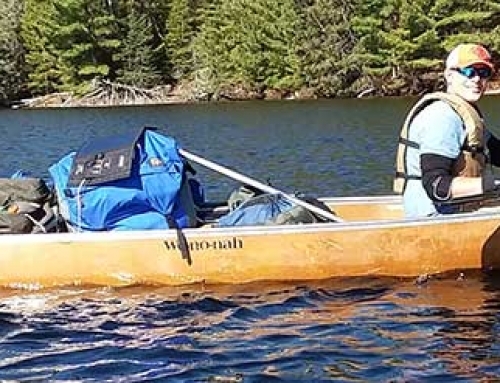 Cover the canoe route of not less than 50 consecutive miles; take a minimum of five consecutive days to complete the trip without the aid of motors. The Unit or trek leader must then file a 50-Miler Award application with the local council service center. This application gives additional details about planning the trip. 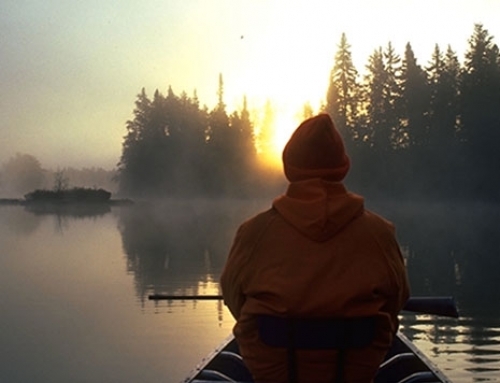 For more information on Scouting canoe trips in the boundary waters, click here.